As the Linux server market share continue to grow, so too does the demand for qualified and certified Linux administrators. Certification holders must recertify every five years, but LPI recommends recertifying every two years to stay fully up to date with new technologies and best practices. 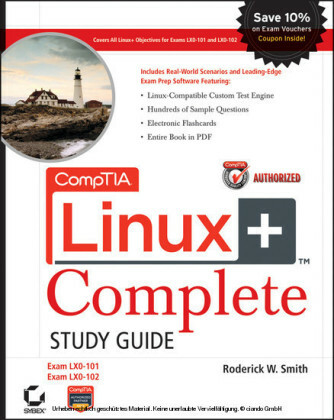 CompTIA Linux+ Study Guide gives you the advantage of exam day confidence. Christine Bresnahan, CompTIA Linux+, LPIC-1, started working with computers more than 25 years ago in the IT industry as a systems administrator. Christine is an Adjunct Professor at Ivy Tech Community College where she teaches Linux certification and Python programming classes. She also writes books and produces instructional resources for the classroom. Richard Blum, CompTIA Linux+, LPIC-1, has worked in the IT industry for more than 25 years as both a systems and network administrator. He has published numerous Linux and open-source books, and is an online instructor for Linux and Web programming courses used by colleges and universities across the United States. Why should you learn about Linux? It's a fast-growing operating system, and it is inexpensive and flexible. Linux is also a major player in the small and mid-size server field, and it's an increasingly viable platform for workstation and desktop use as well. By understanding Linux, you'll increase your standing in the job market. Even if you already know Windows or Mac OS and your employer uses these systems exclusively, understanding Linux will give you an edge when you're looking for a new job or you're looking for a promotion. For instance, this knowledge will help you make an informed decision about if and when you should deploy Linux. The Computing Technology Industry Association (CompTIA) has developed its Linux+ certification as an introductory certification for people who want to enter careers involving Linux. The exam is meant to certify that an individual has the skills necessary to install, operate, and troubleshoot a Linux system and is familiar with Linux-specific concepts and basic hardware. 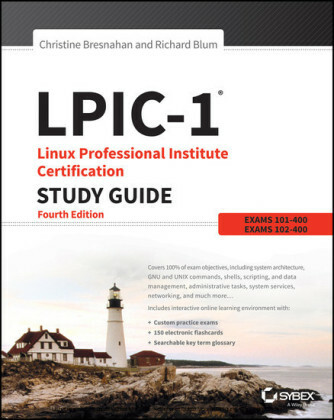 The purpose of this book is to help you pass the Linux+ exams (LX0-103 and LX0-104), updated in 2015. 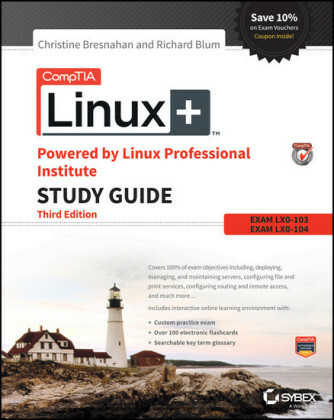 Because these exams cover basic Linux installation, configuration, maintenance, applications, networking, and security, those are the topics that are emphasized in this book. You'll learn enough to get a Linux system up and running and to configure it for many common tasks. 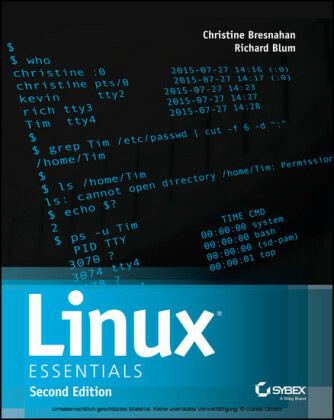 Even after you've taken and passed the Linux+ exams, this book should remain a useful reference. Linux is a clone of the Unix operating system (OS) that has been popular in academia and many business environments for years. Formerly used exclusively on large mainframes, Unix and Linux can now run on small computers, which are actually far more powerful than the mainframes of just a few years ago. Because of its mainframe heritage, Unix (and hence also Linux) scales well to perform today's demanding scientific, engineering, and network server tasks. Linux consists of a kernel, which is the core control software, and many libraries and utilities that rely on the kernel to provide features with which users interact. The OS is available in many different distributions, which are collections of a specific kernel with specific support programs. The exams were designed with the needs of Linux professionals in mind. Surveys of Linux administrators were performed to learn what they actually needed to know to do their jobs. The exams have been extensively tested and validated using psychometric standards. The result is an ability to discriminate between competent administrators and those who must still learn more material. CompTIA is an organization that doesn't itself market any Linux distribution. This fact removes the motivation to create an exam that's designed as a way to market a particular distribution. Major players in the Linux world support the exams. The certification is available to anyone who passes the two required exams: LX0-103 and LX0-104 (often referred to as simply 103 and 104). You don't have to work for a particular company. It's not a secret society. Pearson VUE administers the exam. The exam can be taken at any Pearson VUE testing center. If you pass, you will get a certificate in the mail saying that you have passed.